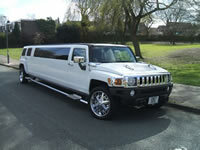 In order for us to provide you with the most accurate quote for a limousine, please provide as much information as possible about your limo hire requirements. Once complete, a Limotek representative will contact you within 24 hours. Limotek.co.uk will occasionally send information regarding promotions and affiliate offerings. If you do not wish to receive such information, please tick this box. The maximum number of characters exceeded.